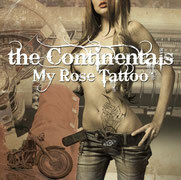 Great: The Continentals "My Rose Tattoo"
One of the most exciting Continentals albums ever! The tenth album of the Continentals again offers a hot cross-over brew of Rock'n'Roll, Rockabilly, Blues, Surf and Country Rock. All in the style of American roadmovies and trash films. In addition to the title song "My Rose Tattoo", there are five other, brand new compositions on this CD with "Hot Wheels", "Cathouse Blues", "Wild At Heart", "Hurt By You" and "The Lions". The album „My Rose Tattoo" is available on CD as well as via download. The additional song selection reads like a Who Is Who of the music history. Here you can find Deep Purple, Cheap Trick and U2 as well as the Bangles, Depeche Mode or Joy Division. Dustless classics from the 50ies and 60ies round off the "colorful bouquet of popular melodies".  Like the 2011 release of the "Best Rockin 'Christmas Of Them All" (FOXROCKS, FOXCD705), the new work was recorded with interruptions from April 2010 to September 2012 at the band’s own Rose Tattoo Recording Studios in Munich. With Frankie Chinasky, who was responsible for mixing, mastering and creative inputs, the band went completely new ways of production and design. The result: heart, hardness and plenty of Rock’n’Roll spirit.